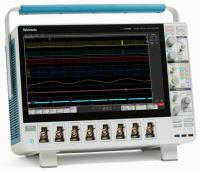 Tektronix, Inc. has expanded its line of disruptive USB-based real-time spectrum analyzers with 4 new higher-performance models targeting design, spectrum management and wireless transmitter installation and maintenance applications. The new RSA500 and RSA600 series of analyzers offer frequency coverage from 9 kHz up to 7.5 GHz with 40 MHz acquisition bandwidth, a measurement dynamic range from -161 dBm/Hz Displayed Average Noise Level, and up to +30 dBm maximum input. 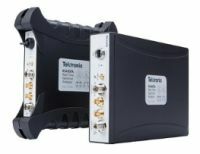 The RSA500 series of portable spectrum analyzers bring lab performance levels to the field for fast, cost-effective spectrum management, interference hunting and network troubleshooting. The series includes the 3 GHz RSA503A and the 7.5 GHz RSA507A. These battery powered instruments are qualified to MIL-STD 28800 Class 2 for shock and vibrations and rated IP52 for water ingress. A number of additional features and capabilities further facilitate field applications including a GPS receiver with locked frequency accuracy up to +0.025 ppm and an available tracking generator for cable and antenna testing with measurements like Return Loss and Distance to Fault*. As real-time spectrum analyzers, the RSA500s allow spectrum managers to see very short duration signals for fast identification of problem or interfering signals. The RSA600 series instruments including the 3 GHz RSA603A and the 7.5 GHz RSA607A match the performance levels of the portable units, but are designed to use line-cord power and have a desktop form factor. These analyzers are capable of handling a wide range of design applications such as testing Internet of Things (IoT) modules and components using SignalVu-PC measurement packages for everything from Bluetooth LE and Bluetooth EDR to WLAN standards testing through 802.11ac. Antenna and gain/loss testing capabilities help speed system integration. In conjunction with the new spectrum analyzers, Signal Vu-PC receives an updated user interface to go with a number of new options and capabilities. Among the new options for SignalVu-PC are expanded support for signal classification, channel navigation, and support for mapping. Floating licenses are also now available as well as node locked licenses to give users more flexibility to deploy the software and USB Spectrum Analyzers widely. Record and playback for long signals is also an available feature. Engineers who need programmatic access to their instrument can choose either the SignalVu-PC programmatic interface or use the included application programming interface (API) that provides a rich set of commands and measurements. Real-time processing capability provided by SignalVu-PC when using recommended PC hardware is about 1,000 times faster than spectrum analyzers from other major suppliers. *These additional features will be supported by software due out in Q2.